Though we pride ourselves on quality, it is our exceptional staff that continues to win over customers time and time again. Please read the testimonials below to see what our customers are saying about US Coffee & Tea! 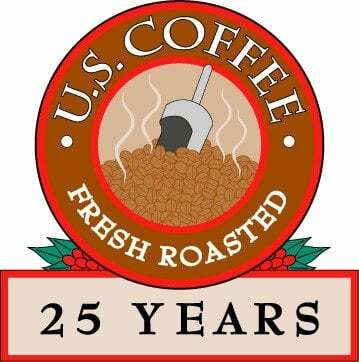 "Those (US Coffee) guys are up here (arm raised way up, meaning a high level) with us – they are just great and take such good care of us, especially Kent, Mike, & Ron. They are here so fast when we call them!!! We love those guys!!" “Wow - that's a bargain! If you ever need a testimonial, we love both our Keurig brewer here at home and the mini brew we got for our boat. And we love LaRoyce!" "Great Thank you very much. Our customers love your coffee and we appreciate your service." "Just wanted to let you know what an excellent job our route driver Ron has been doing. If and when we need something he is right on top of it. If not able to meet a delivery, we are informed. You have a great worker and I just want to let you know what a fine job he is doing." "I was traveling through Des Moines and stopped at a diner called Drake Diner near Drake University. With the first sip I was hooked, it was close to being the best coffee I have ever tasted. So good, on my return trip home, I had to stop again for another cup. I asked them what kind of coffee they used and they said it was a blend by US Coffee & Tea that was blended for them. As I live in Texas, near Houston. I have been wanting more since I arrived back home but none to be had down here. Would it be possible to find out what the blend was and purchase some from you direct? Thanks." "Compliments on your good customer service. Mr. Skinner, I am sure that you have received letters from customers before about the excellent service they receive from Don Smith. Add my letter to those! Don has always been polite, friendly and professional and he just provides good service, but today as he was leaving our office I happened to remember I had a question about the coffee filter US Coffee & Tea provides and how they fit in our Mr Coffee pot. He was very ready to try to solve the problem and even asked if we had ever considered having one of the US Coffee & Tea pots (which the filters fit). Until he explained that he can provide the pot and will check on availability and bring it out to us, I didn't know we might have that service. You see I didn't work at IANEPCA when we started getting our coffee from US Coffee % Tea and hadn't thought about it myself. Anyway my compliments to US Coffee & Tea for having Route Managers like Don and providing us with good customer service. I just wanted his employer to know he's doing a great job!" "We would like to recognize and thank Don Smith for outstanding service. He has serviced our route for more than three years and always responds to all requests in a timely manner and with a friendly demeanor. His knowledge of the products and prices is evident when he is contacted with questions. He always takes the time to explain the differences and asks if we have any other concerns instead of just giving a quick answer and making a quick exit"
"Just wanted to let you know that the Keurig Coffee Brewer is a hit at Plaza Florist. Our customers really enjoy a cup of coffee or hot chocolate. They seem to browse a bit more too. My driver can't get enough of the cappuccino."" "I just wanted to let you know that my mother and father could not wait to open their new Keurig B40 coffee brewer. They love it!!" "I am a frequent patron of Centro in downtown Des Moines, and I finally had to ask what kind of coffee they were using. Their coffee is the best I've ever tasted, and I have tasted a lot of coffee from many different places. They referred me to your company, and I was wondering if there is any way to purchase your beans for personal use. Thanks for your help and great coffee"
"I wanted to let you know that LaRoyce is great! She is a wonderful ambassador for US Coffee and Tea and is always very helpful in getting me the coffees and teas that I would like. I appreciate all of her commitment to making sure we receive the best service possible." "We chose US Coffee and Tea because of LaRoyce. We knew we would be taken care of. There was a little "malfunction" with the machine and LaRoyce was right there to address the problem."